When we first started geo-caching our very first geo-cache was in the fork of a tree in the middle of a vast open field. It was criss-crossed with footpaths and had lots of big established shady trees and I didn’t for one second stop to wonder about how unusual it was that there was so much empty land in a country where empty land just doesn’t happen! 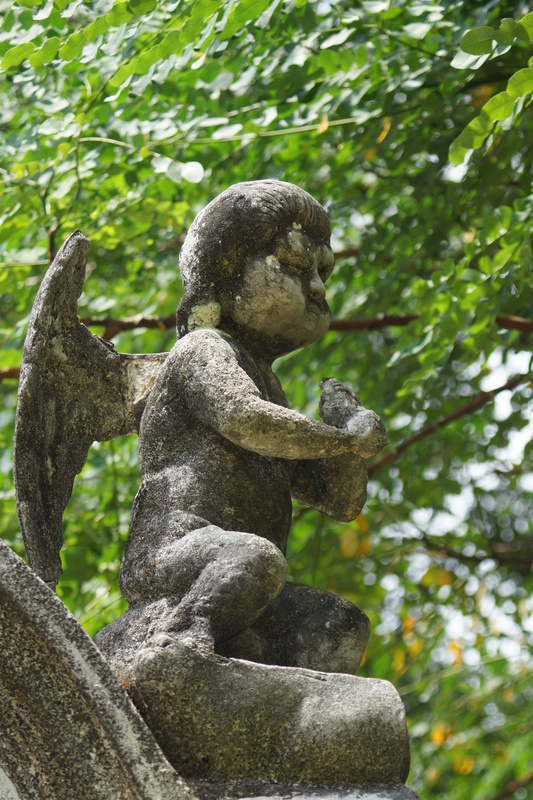 It turns out that the geo-cache was in the land once occupied by Bidadari cemetery. The cemetery opened in 1907 and when it closed for burials in 1972 over 147000 Christians, Muslims and Hindus were buried there. In 1996 the site was targeted for housing development and the exhumation of graves took place between 2002 and 2007. The development of Bidadari Estate should start in the next twelve months. 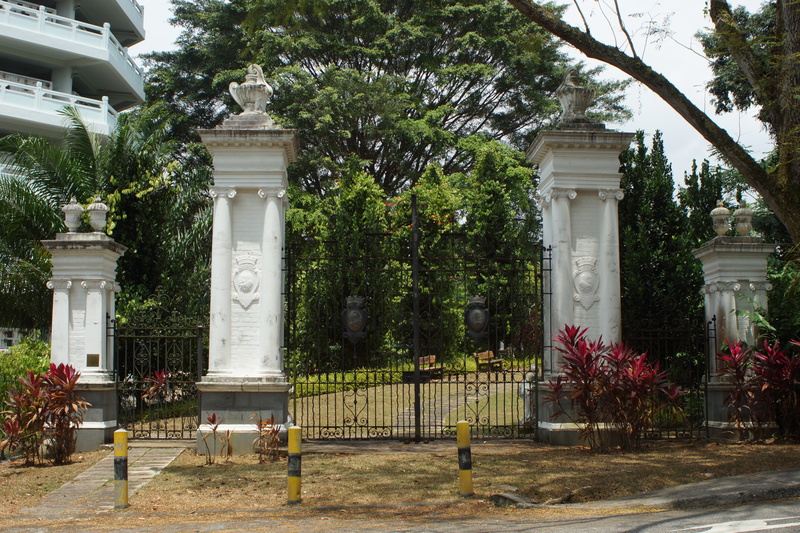 The original gates of Bidadari Cemetery and 21 headstones were moved onto a new patch of land behind Mount Vernon Sanctuary, but will be moved to a new location once the housing on the old cemetery grounds is completed. 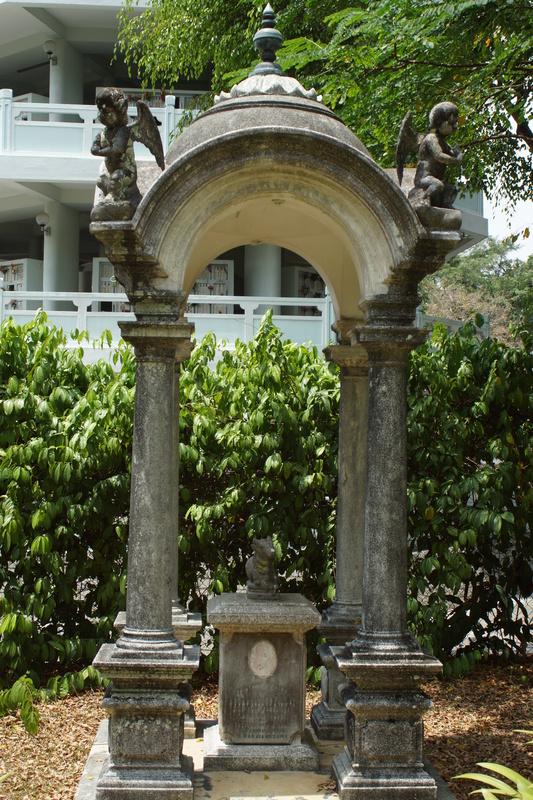 We’ve been having a bit of a drought in Singapore with no decent rain for at least 6 weeks, so the garden was not as lush and green as it would normally be but it was still a lovely, peaceful place. 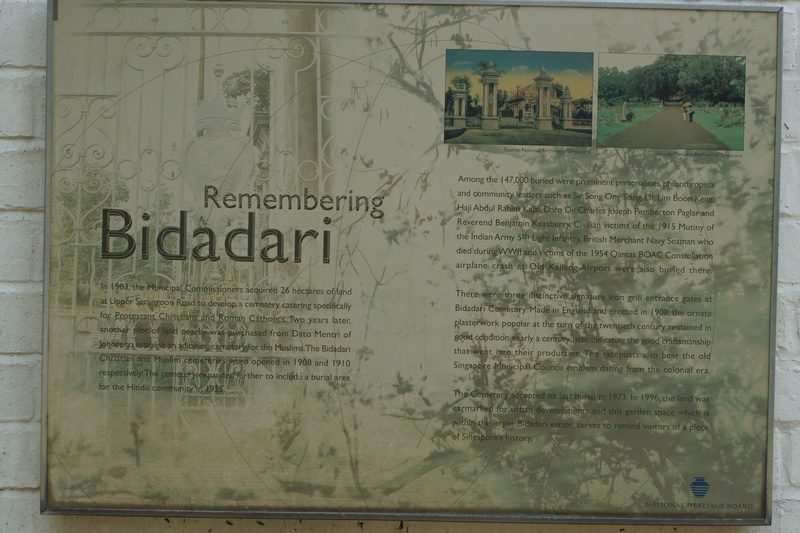 The gates are very impressive and the grounds are extremely well maintained with lots of information boards from the Singapore Heritage Board detailing the history of Bidadari. Singapore Heritage Board information board. 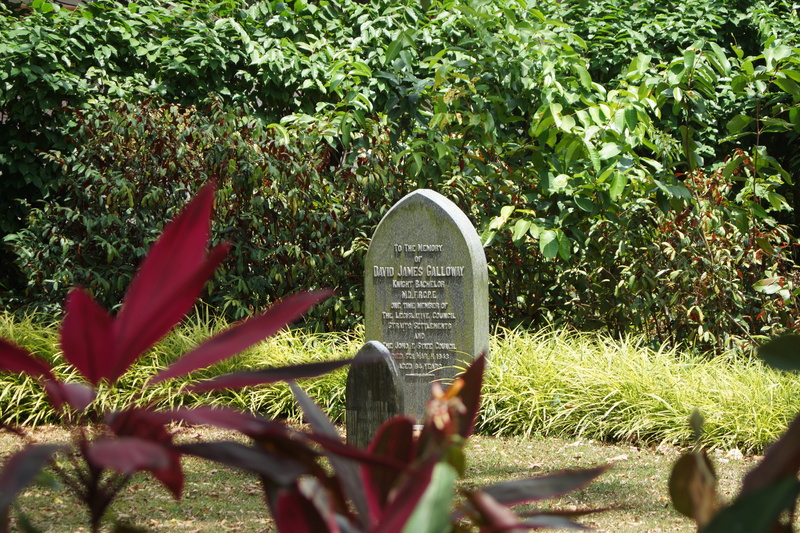 The tombstone of Koona Vayloo Pillay. 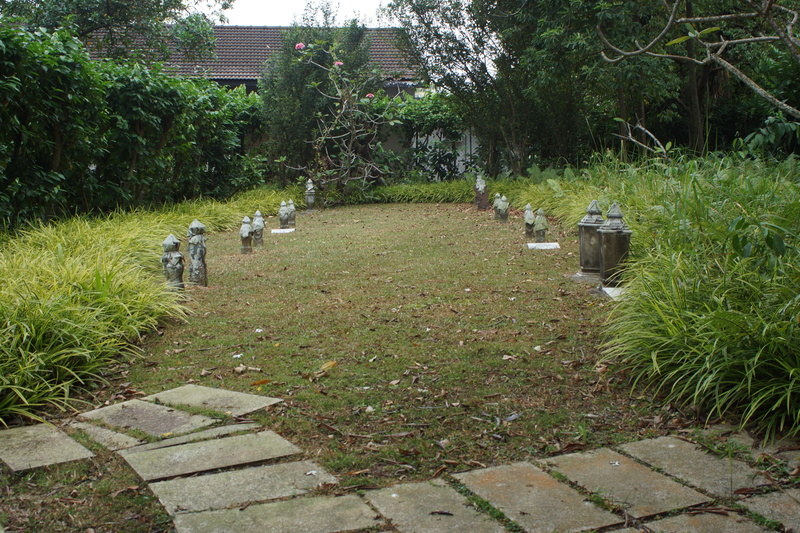 Bidadari Memorial Garden is currently located on Mount Vernon Road. 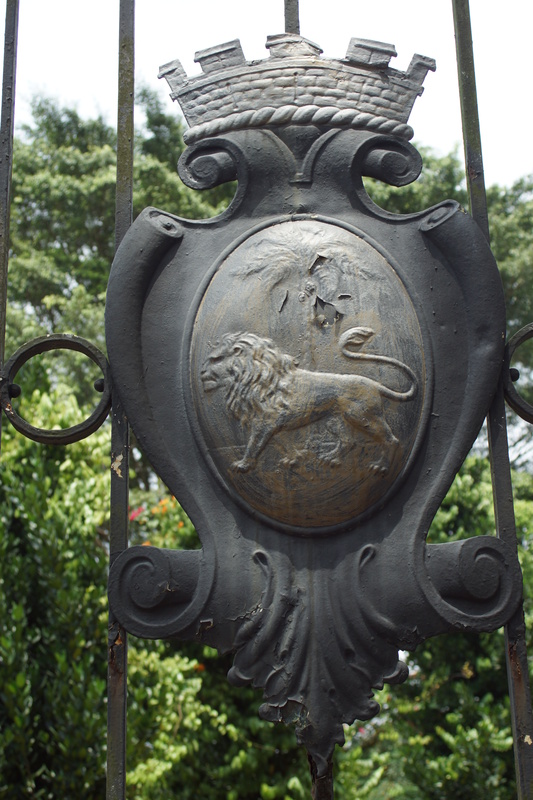 The gates are open daily and entry is free. * information taken from The National Heritage Board website.